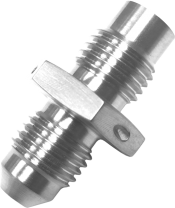 Ejay Filtration is the leading manufacturer and designer of precision aerospace filtration products. 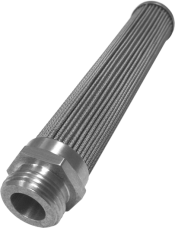 With a history of meticulous craftsmanship and high-quality construction, Ejay Filtration continues to support innovation in aerospace through a wide selection of cutting-edge filtration products. 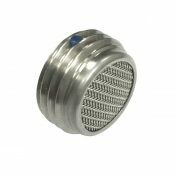 The Flared Filter Fitting provides filtration with tight tolerances and a powerful construction that allows it to work with a variety of media and applications. 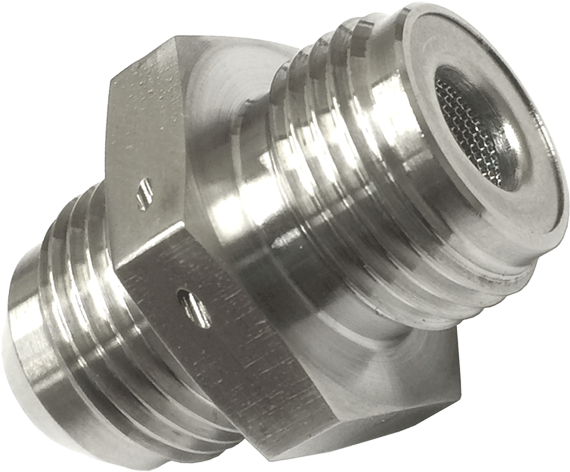 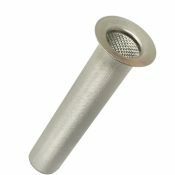 The flared filter fitting can be used with gas or liquid materials with a temperature range between -65 degrees F up to 550 degrees F. Specify a standard or aluminum fitting and select a size to suit your needs. 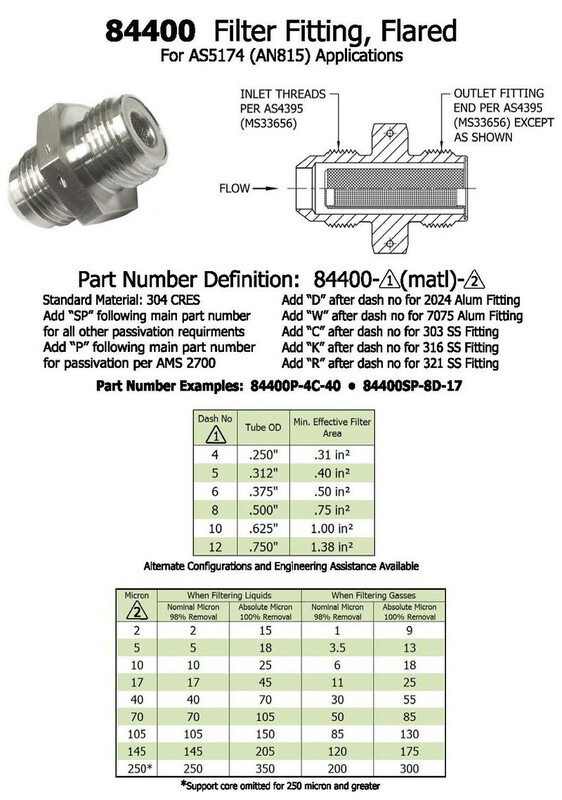 If you do not see the specifications you need, contact Ejay Filtration to customize a product.